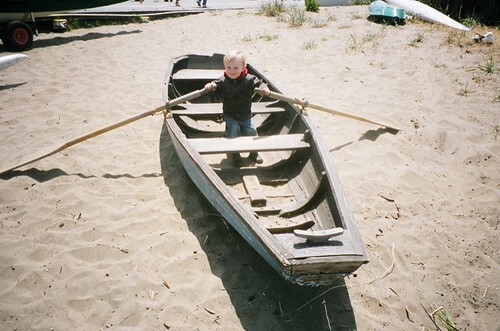 learning to row, originally uploaded by pseudobunny. it is going to be a sad day when he realizes that it won't get out to sea. even tho sea is a mere five feet from the row boat. and if he did get it out there it would sink in about minus 3 seconds. mean. mean parentals we are.